Scattered thunderstorms in the morning, then cloudy skies late. High 66F. Winds WSW at 15 to 25 mph. Chance of rain 60%..
A mostly clear sky. Low around 40F. Winds NW at 10 to 20 mph. Photo courtesy of Ambika Mathur. 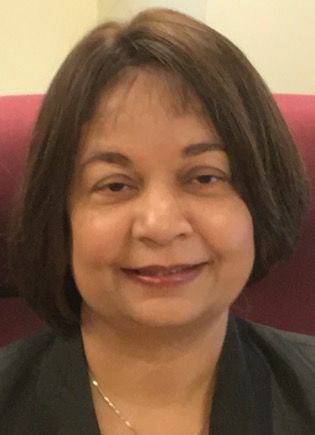 Ambika Mathur, dean of the graduate school and associate provost for Scientific Training Workforce Development and Diversity at Wayne State, has accepted a position at the University of Texas at San Antonio. After this month, Mathur will be the vice provost for graduate studies and dean of the graduate school at UTSA. Mathur said she and her husband, who works in the Department of Pediatrics, are very committed to WSU and believe in the school's mission. During Mathur’s time at WSU, she improved the graduation enrollment rate by 25 percent, received a $2 million grant from the National Institute of Health and created a plethora of scholarships and post-graduation programs to enhance career development. Mathur has spent the last 15 years at WSU creating different resources to aid students in their academic careers. However, Mathur originally started at WSU as a cancer immunologist, professor and researcher. At one point during her career, Mathur was managing a bustling lab of graduate and post-doctorate students — while juggling motherhood and her teaching position, she said. Mathur became interested in workforce development and advocating for diversity after having an epiphany about her career. Outside of her everyday duties of being a dean, she has a science fiction novel titled “Transplant,” and a children's book series titled “Miss Panda.” Mathur also is the principal investigator for the $21 million NIH program, ReBUILDetroit, which aims at preparing a diverse body of students for careers in academic research. Due to Mathur’s work with post-graduation workforce training and her fight to include and represent more minority students in academia, WSU has outranked prestigious universities — such as Harvard — for best practices of graduation rate improvement, she said. Mathur said she is leaving WSU with her head held high and is proud of all the work her team has done in the last 6 years. As her last month at WSU is coming to a close, she urges all students — especially those who want to enter research — to shake off the shackles of self-doubt and implement a sense of confidence within themselves. Slone Terranella is news editor of The South End. She can be reached at gh7510@wayne.edu.